How Are We Performing ? 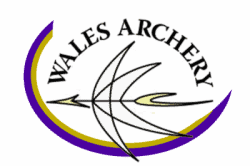 The arrows used in the kit are very similar to traditional arrows, with the exception that they use a ‘blunt’ – a flat rubber end instead of a traditional point. The ‘nock’ is the little plastic part at the back of the arrow that ensures the arrow stays clipped onto the bowstring, and these might need replacing over time as they can show signs of wear with a lot of use. Replacing nocks is very simple to do, and information about this can be found here. Replacement nocks are available to buy here. Two supporting Arrows videos provide information on setting up the Rapid Range and some simple guidance on shooting technique. These videos aim to reinforce the information contained within the Guide for Teachers. Let people know about your Arrows sessions! We’ve provided a poster template you can use to advertise your sessions, and a promotional leaflet, which are available for download below.